Parents should be sure to include these-have baby products in their Buy Buy Baby registries. Before expecting couples can even get started adding items to their baby registries, they must first figure out where they’re going to register. This alone can be a huge decision to make. One of the most popular places parents-to-be opt begin a baby registry — in addition to places like Target, Walmart, and Amazon — is Buy Buy Baby. Which makes complete sense, considering the company specializes in all things baby-related. From nursery furniture, to baby gear, baby clothes, feeding tools, toys, books, safety products, and more, this place has literally everything under the sun you would need for your little one. 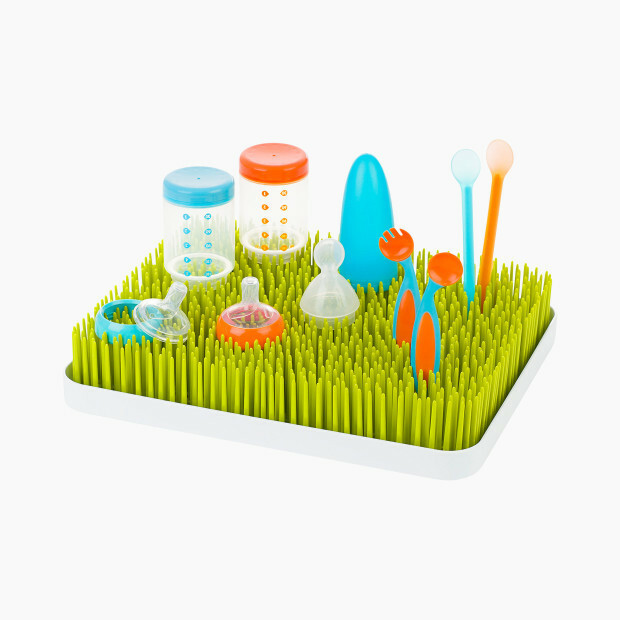 So you can be sure all of the must-have baby registry items can be found at Buy Buy Baby, too. As with most registries out there today, starting a baby registry at Buy Buy Baby comes with certain perks. (Because how else would companies lure in expecting parents?) For starters, once you register, Buy Buy Baby gives you a goody bag filled with samples and coupons — which you can then pick up in-store. Something else that will definitely come in handy is the company’s price matching policy. All you have to do is show a competitor’s price for an identical item and Buy Buy Baby will match it. Easy as pie. Other perks include free shipping for your baby’s first year once $1,500 worth of items have been purchased from your registry before your due date rolls around. Furthermore, a completion discount — in the form of 10-percent off everything you happen to have left on your registry — is sent to you a few weeks prior to your due date. If you’ve taken all of these factors into consideration and have decided that Buy Buy Baby is the perfect place to start your baby registry, then half the battle is already over. The other half consists of figuring out what you’ll actually need for your baby. And if you’re a first-time parent, that can be difficult to determine. (You’ve never done this before, after all.) The good news is, this mama already has three kids under her belt — with another one on the way in just a few weeks. Based on a combination of my experience, Buy Buy Baby’s “registry fave” classification, and reviews from other parents, I’ve compiled a list of must-have items for your Buy Buy Baby registry. So be sure to bookmark this page for future reference as you think about tackling your own registry. You’ve got this, parents-to-be! 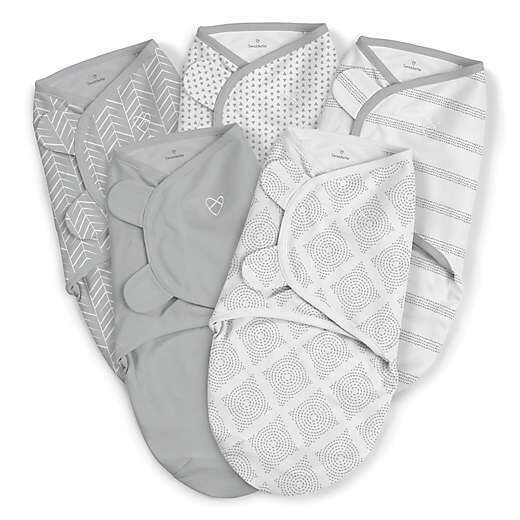 This SwaddleMe 5-Pack Original Swaddles is listed as a “registry fave” at Buy Buy Baby — and for good reason. I mean, think about it. Prior to birth, a baby is all curled up inside the womb, warm and snug. So after delivery, the feeling of being swaddled helps mimic this environment, allowing your baby to feel safe and secure while lying in his/her bassinet. Not to mention, it can help prevent the startle reflex — which has a way of waking both your baby and you. At $49.99, this five-pack of swaddlers will surely get you through the newborn stage. Ask around, and seasoned parents will likely tell you that the Halo Bassinest Swivel Sleeper is where it’s at. It’s the perfect way to have your baby sleeping right next to you — while also making sure she has her own, safe sleeping area. Because the sidewall lowers, it makes it easy to calm and care for your little one in the middle of the night. Other features include: A nightlight, three lullabies, three soothing sounds, a nursing timer, two vibration levels, a back to bed reminder and two storage pockets. 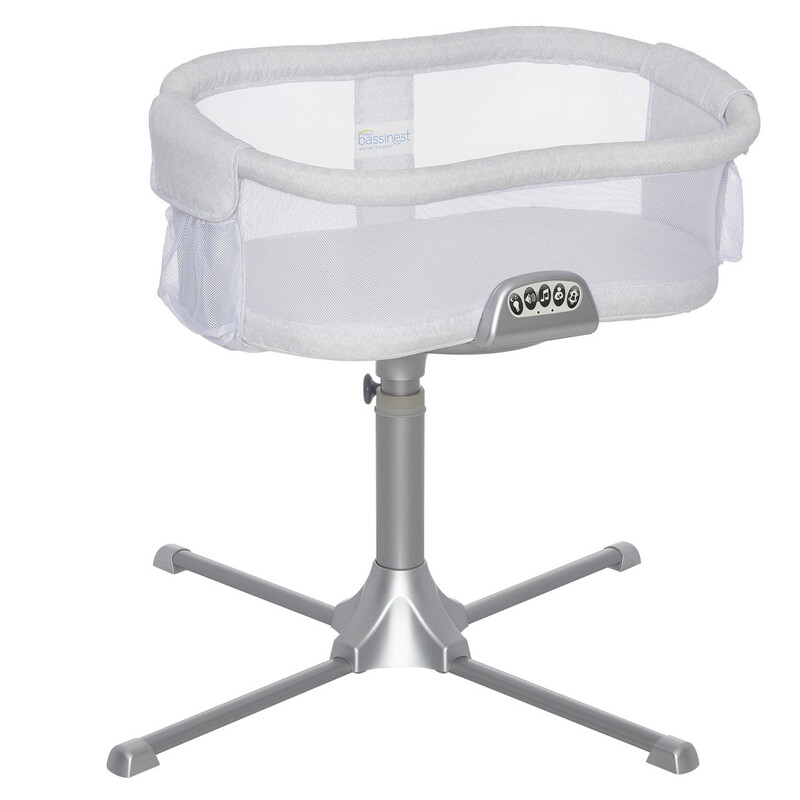 At $249.99, the Halo Bassinest Swivel Sleeper is absolutely a baby registry splurge. The fun design of the Boon Lawn Countertop Drying Rack is sure to brighten up your countertop. Oh, and did I mention it’s a pretty handy drying rack for all of those bottles, pacifiers, and breast pump parts? For $24.99, there’s plenty of space for all of your air-drying needs. And the rave reviews on Buy Buy Baby’s website seem to confirm the Boon Lawn Countertop Drying Rack is a registry necessity. 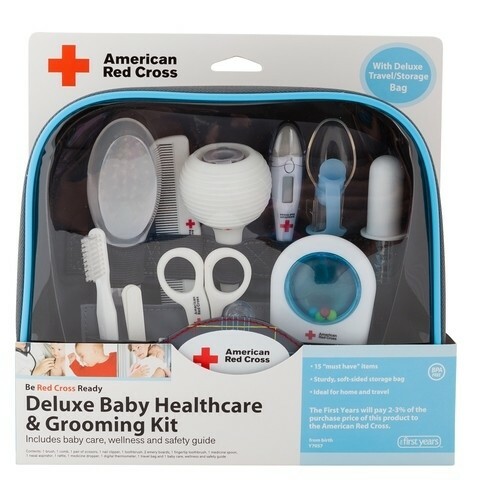 The First Years American Red Cross Deluxe Health and Grooming Kit has everything you need to tend to your baby’s personal hygiene (outside of bathtime) and sick-time needs. It includes: A nasal aspirator, digital thermometer with case, a soft-tip medicine dispenser, a comfort tip medicine spoon with cap, a brush, comb, scissors, nail clipper, fingertip toothbrush, emery boards and a rattle to help distract your little one while tending to him. 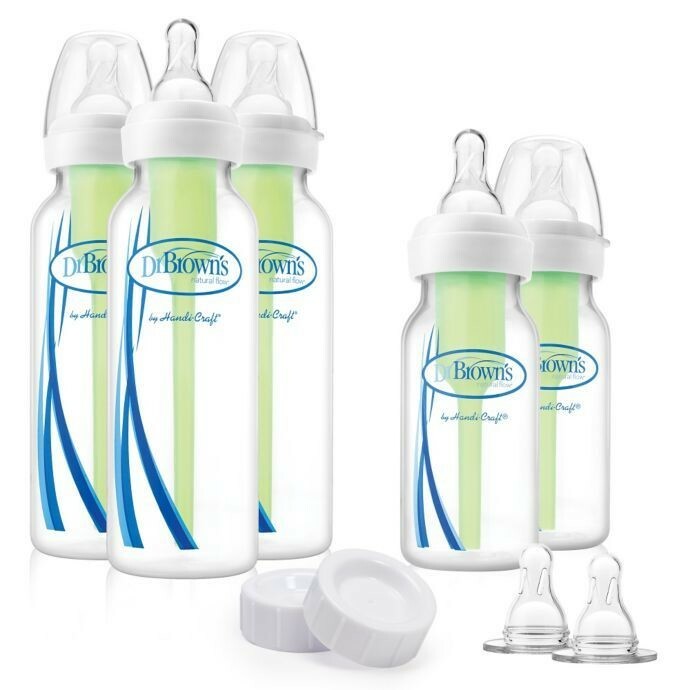 This $19.99 kit also comes with a travel bag and a baby care, wellness and safety guide. Of course, you could always purchase all of these items separately. But having it all together in one kit is super convenient. 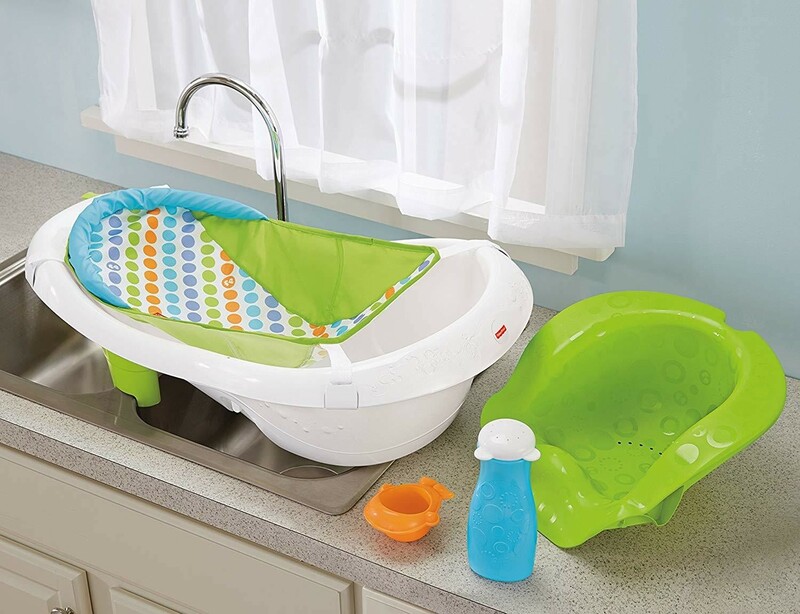 For $39.99, this Fisher-Price 4-in-1 Sling ‘n Seat Bath Tub offers a safe place to bathe your baby from birth and into toddlerhood. Stage 1 — which includes the mesh sling that cradles your little one — is designed for the newborn days up through about 3 months. Stage 2 — for which parents remove the sling and add the Stage 2 insert — works well for babies between 3 and 6 months of age. 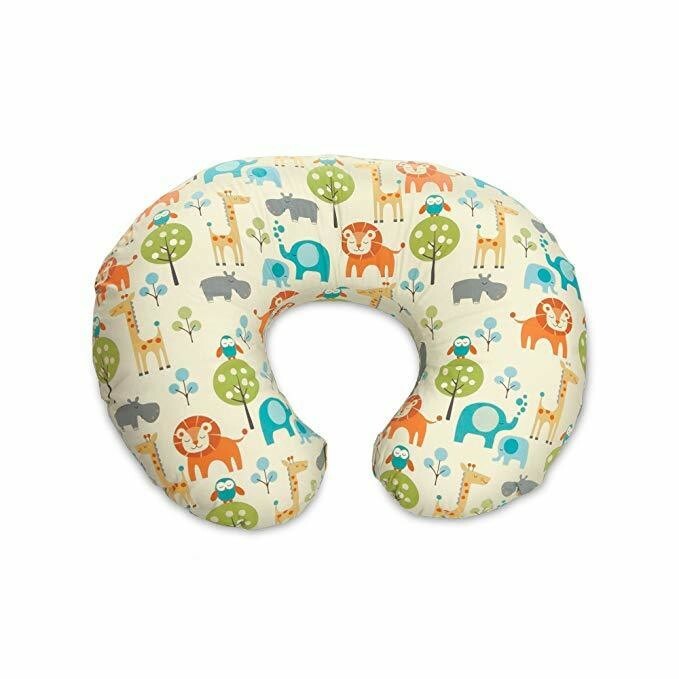 Stage 3’s Sit-Me-Up-Support helps your little one sit comfortably between 6 and 9 months. And Stage 4 is a spacious toddler tub for babies who are 9 months and older. Bonus: This tub includes a squeeze bottle and whale scoop for playing and and rinsing. For $44.99, the Moby Wrap Classic Baby Carrier is a cozy way to keep your baby contently snuggled against you — while also freeing up both hands so you can actually be productive. 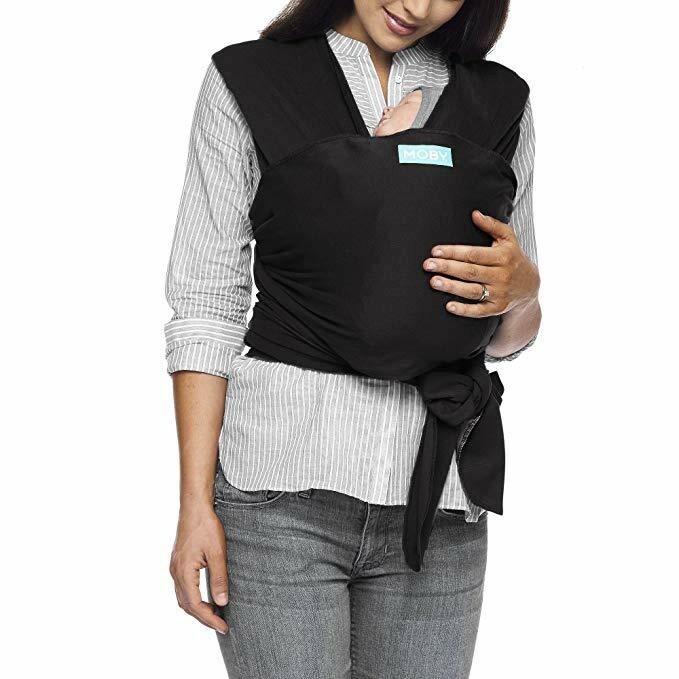 This wrap in particular distributes the weight of your baby comfortably on your entire back and your shoulders. It offers three different carrying positions, depending on what works best for you and your little one. Because it’s a wide piece of fabric that is strategically wrapped, there aren’t in buckles, snaps, or other fasteners to worry about. This 100-percent cotton carrier is machine washable and intended for babies from 8 to 35 pounds. To see how to properly wrap this carrier, check out this helpful YouTube tutorial. 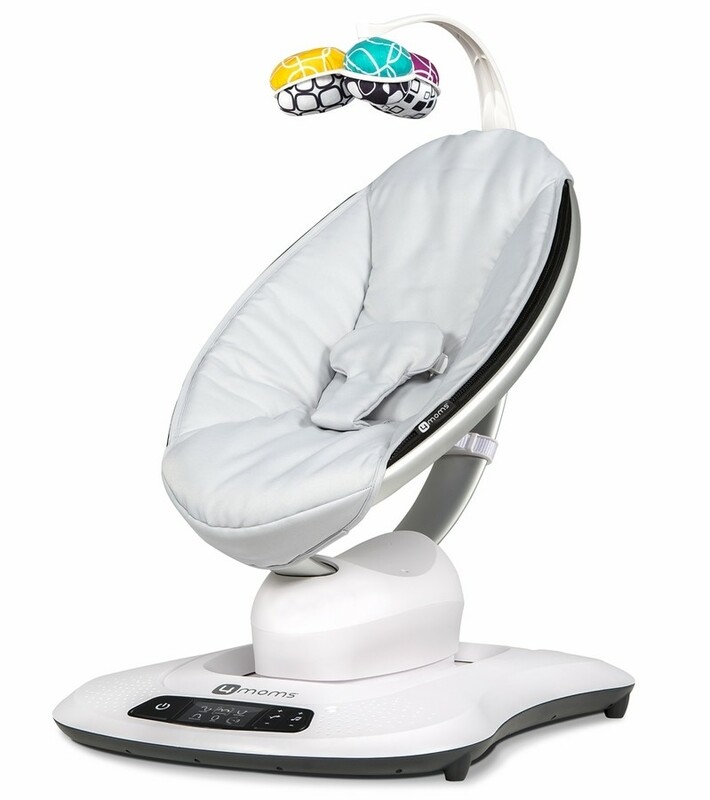 The sleek and compact design of the 4moms mamaRoo 4 combined with its unique set of motions is what makes this infant swing so popular with parents and their babies. (To truly appreciate how great this swing is, I would suggest to check out this YouTube review to see it in action.) This seat is designed for infants up to 25 pounds — so from birth to 6 months, or until the child can sit up unassisted. As well as different speeds, it features five distinct motions: Car ride, kangaRoo, tree swing, rock-a-bye, and ocean wave. Having a safe place for your baby in the car is obviously a must. 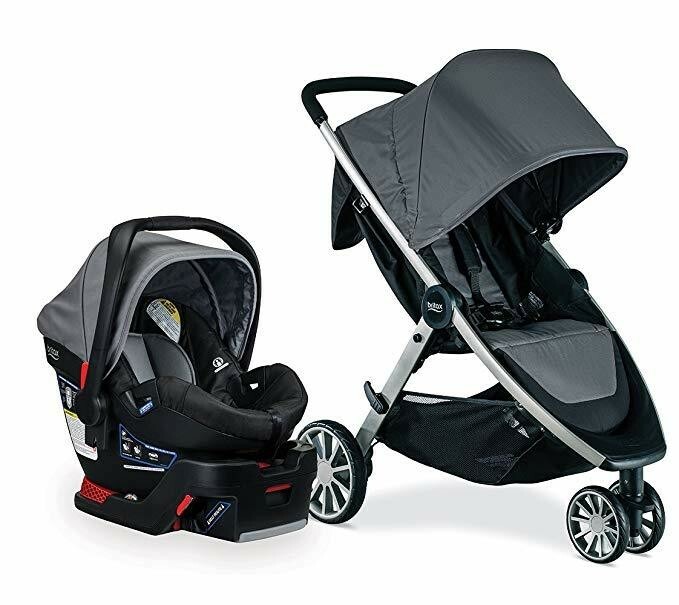 However, having a car seat that also clicks right into a stroller is the epitome of convenience — which is why the Britax B-Lively & B-Safe 35 Travel System made my list of must-haves from Buy Buy Baby. Considering the travel system is $399.99, it might also be more feasible for a few close friends to purchase this big-ticket item together. I cannot stress enough how essential bodysuits are to an infant's wardrobe. Not only are the super convenient for diaper changes, but they're easy to slip down and off in the event of a diaper blowout. Whether they're plain white, colored, or patterned, your baby baby will go through these like mad. (Because diaper leaks, spit-up, and messy meals happen.) They're great for layering, too. So definitely be sure to stock up on both short-sleeved and long-sleeved bodysuits. This four-pack of Carter's white long-sleeved bodysuits will help you get started on your baby clothing stockpile. 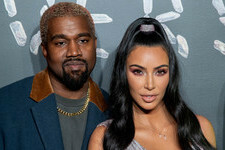 Just be sure to add even more bodysuits in various sizes — as well as some two-piece sets, footed pajamas, and socks — to your Buy Buy Baby registry.